We constantly disagree with each other on issues of fundamental importance. Does God exist? Should the latest scientific findings be trusted? Are there innate psychological differences between men and women? 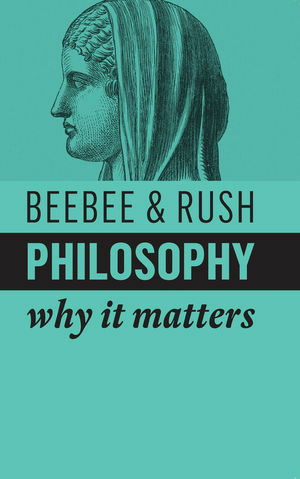 In four lively chapters, Beebee and Rush explain philosophy’s role in addressing such questions. They consider what it means to be human, how we should engage in public debate, philosophy’s relationship with science and religion, and the nature of our moral choices. Far from being only an abstract endeavour, philosophy engages with issues on a practical level, and philosophers draw inspiration from real-life situations. At its core, philosophy is about how to live and how to make sense of the world we inhabit. It is a set of tools and techniques for clearly and systematically considering our arguments and uncovering our hidden assumptions, which helps us to make more informed choices about what to believe and how to act. Philosophy is everywhere, and open to everyone. Helen Beebee is Samuel Hall Professor of Philosophy at the University of Manchester. Michael Rush is a teaching fellow in philosophy at the University of Birmingham.